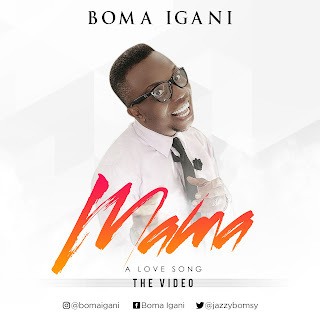 MAMA by BOMA IGANI is a love song specially dedicated to the celebration of women both dead and alive; single and married. The song captures the essence of motherhood and what the woman symbolises - a lover, mother, home maker, adviser, lawyer, doctor, inventor, corrector and more. It celebrates you! It was shot by Gbenga Teller Images.